To people struggling with weight loss, alternate medicine seems like a very appealing option. People, out of sheer desperation are likely to try out any product that features a model and has sufficient before and after pictures. What most people fail to realize is that the more time you spend learning about your metabolism and digestive system, the more informed fitness decisions you will be able to make. The same thing applies for using B12 injections to lose weight. Without knowing anything about B12, it is very foolhardy to focus your entire weight loss program on such injections. usually found in meat, fish and dairy products. The vitamin B12, also known as cyanocubalamin, helps with the proper digestion and absorption of fat and carbohydrates. They also keep your nerves healthy, maintain a steady production of red blood cells and increase metabolism rates. 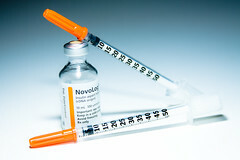 Using B12 injections is argued to give you more energy and to increase your metabolism rate. 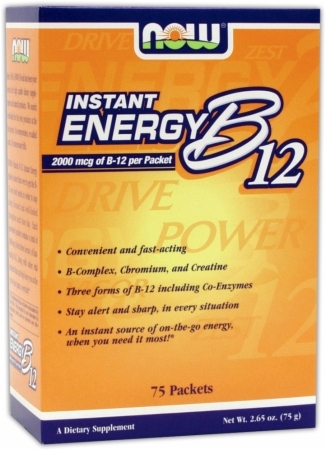 How does B12 Work as a supplement? and vitamin B12 deficiency. They pose very little threat to your health as there almost no side effects to using vitamin B12 when it is taken orally or when the injection is correctly administered. However, in some rare cases, B12 injections can cause diarrhea, blood clots, itching and allergic reactions. B12 injections should also be avoided if you have preexisting medical conditions such as Leber’s disease, a hereditary eye condition, or if you are allergic to cobalt and cobalamin. In the case that you are pregnant or breastfeeding, it would be best to consult with your doctor. However for most normal cases, the usual prescribed dosage borders on the range of 2.6 mcg per day. So if you come across a product claiming that B12 injections will help you achieve miraculous weight loss results, you can rest assured that the offer is a scam. B12 injections will not help you lose weight; at best it will make immune to your hunger cravings and enable you to adhere to your diet. Even then, you will have to make the effort to live a healthy and active lifestyle so that you can burn the calories. Without any form of exercise, supplements are not going to yield any substantial results. So do B12 injections work? manipulated without raising grave health concerns. By having an artificial supply of B12, you can hope to capitalize on the benefits that it has to offer. Those benefits can help you lose weight but rest assured that there still needs to be substantial effort on your part. Author Bio: Syed Shadab is a freelance writer and the topic of B12 injections was inspired by Trim Nutrition- Leading Online based retailer of weight loss supplements. This entry was posted in Nutrition, Supplement Review, Weight Loss and tagged Vitamin B12, Vitamin B12 deficiency by Russell Jensen. Bookmark the permalink.